I welcome you all very warmly as we gather on this very crisp February morning, the Feast of the Presentation of the Lord in the Temple, to pay a faith-filled farewell to John Cummins. 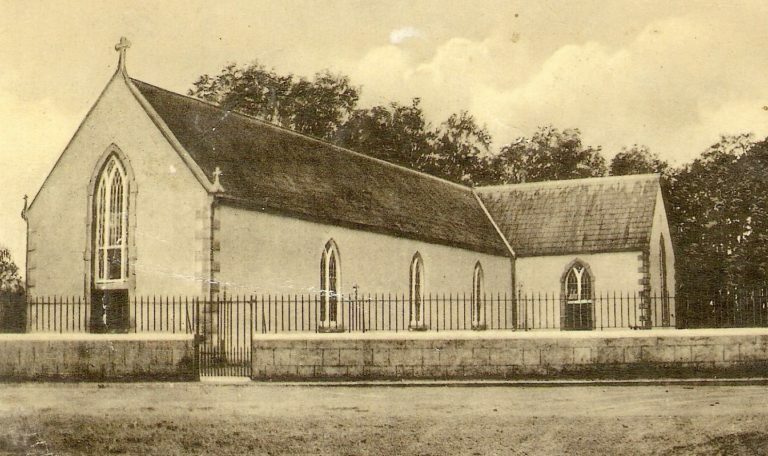 Father John was Parish Priest here in Abbeyleix for eighteen months. Having served for four years in Naas; five years pursuing further studies in Rome; five years as Chaplain in the Institute of Technology in Carlow; twelve years in the Cathedral Parish, eleven of those years its Administrator, and a much too short year and half here with you in Abbeyleix. There are so many people who feel bereft and adrift when someone so gifted, so able, so talented slips from our midst. Literally in the twinkling of an eye – life and death. 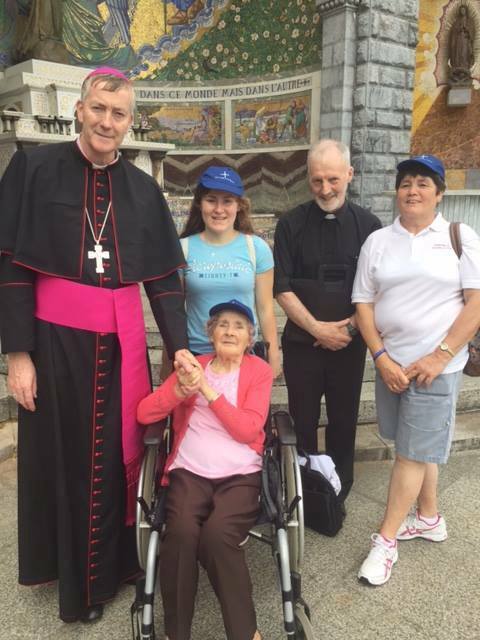 To you John’s family, his mother Renee, his sister Maria, his brothers Con and Garry, his sister-in-law Yvonne, his niece Caoimhe and his nephews Conor and Daniel; to all of us his Diocesan Family, his brother priests in Kildare & Leighlin; the many religious and lay people in the diocese and beyond he worked with on different projects and plans; his classmates from the Maynooth Ordination Class of 1991 to whom he kept extraordinarily close; his colleagues at Faith Development Services; his friends in ACCORD Catholic marriage care service, and indeed in so many other features of diocesan life that no words of mine could ever adequately encapsulate. To each of you I simply extend my prayers and sympathies and thank you for being here this Saturday afternoon. We are all on a journey with John which rightly began with Mass in the Cathedral on Thursday night, continues today with his Funeral Mass here in Abbeyleix and will conclude on Monday in Newbridge, the home where his vocation was nourished with Mass before his burial in the family plot with his late dad Con who died in February 2003 in Saint Conleth’s Cemetery. Echoing the eloquent words of Monsignor John at last night’s removal, we are indeed “briste agus brúite”, broken and crushed; in the inadequacy of our language and in the heartbreak of our grief, we turn to God and ask why this pain, this loss, this tragedy? I found the last month, January, the longest in many a year. It seemed to be an age since New Year’s Day had passed and the promises and resolutions a New Year brings. Then the Magi visited with their gifts. How John loved giving gifts, I recall Father Ruairí’s account of how he loved Christmas and loved the ritual of buying gifts but of course the greatest gift was that of himself a son, a brother, a priest, a friend. You might have noticed the crozier which I am using at today’s Mass is the crozier of the late Bishop Larry Ryan. Bishop Larry ordained John in 1991. In the earliest years he saw huge potential in this young priest. Bishop Jim Moriarty, who will join us at the Mass in Newbridge on Monday, also recognised the gifts and talents that were natural to John. He sends his prayer-filled best wishes to all of us this day. While I found the month of January long; I found the few hours from around four-thirty last Wednesday evening the longest few hours of a very long month. Words are inadequate to thank the Garda Síochána, the Fire Brigade Service, the local undertaker and neighbours who so sensitively managed the passing of those difficult hours last Wednesday evening. 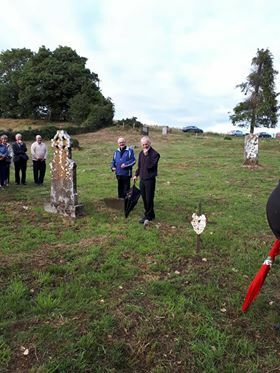 Monsignor Caoimhín, Father Paddy and Father David, our youngest priest, were present that evening when words for all of us were difficult to find. Not that they are easier now, but time, liturgy and prayer and the person John was, helps all of us through these emotional, heart-wrenching days. I know John had no regrets for the life he set out on as he started to study for the priesthood in Maynooth in 1984. John loved being a priest. He gave his life to the Church as a priest; he gave his life for the Church as a priest. Someone put it well “Father John made being holy positive again”. At a time when the Church needs more good priests on the pitch, it feels as if God scored an own goal last Wednesday evening. John was not just a good priest, he was a great one as tributes of recent days vouch. Mind you, the gospel, the last gospel he would have proclaimed at Mass on Wednesday morning was that of Mark where the Parable of the Sower was explained. John was that seed planted in rich soil; he nurtured it daily – we were all the beneficiaries as he led us in prayer. A prayer that came from a well nourished spring within; he didn’t need a ritual or manual. He simply had it. It is up to us now to yield that harvest Mark’s gospel spoke about: “thirty and sixty and a hundredfold”. In 2014 I appointed John an Episcopal Vicar for Education and Evangelisation and told him in the appointment letter then it was a role that would “develop or emerge in time”. 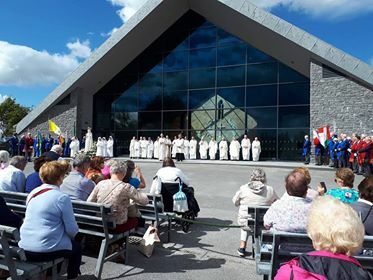 I think the past few days have been a powerful message of evangelisation as they crystallised the fondness people of all ages, of all faiths, of all levels of commitment, engagement and practice, have for their local priest. The gift of priesthood is deeply appreciated by one and all. 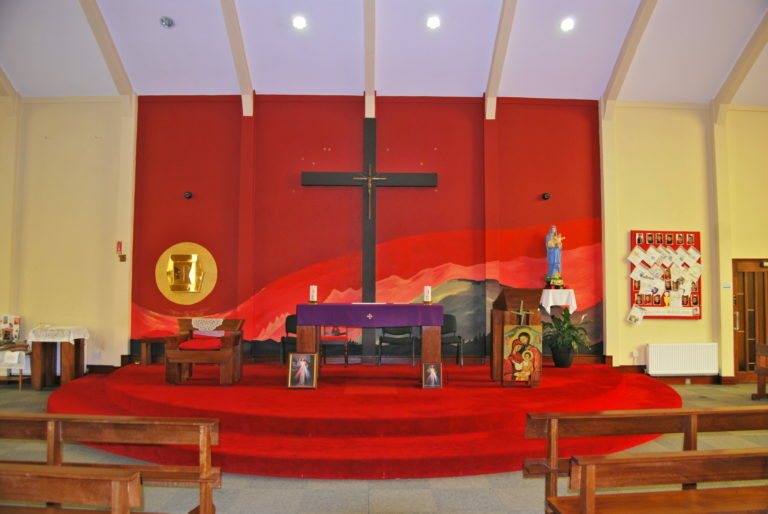 The Church is very alive and dynamic at the local parish level. We celebrate today the Feast of the Presentation of the Lord. The day when Mary and Joseph presented their newborn in the Temple. Already consecrated, and Mary needed no ritual purification, in many respects this was simply following form, following duty. John Cummins would have expected and done no less. I think of the film A Beautiful Mind and John had that; he would have “this thing” about certain things, everyone else’s blood pressure might be boiling, but it would have no effect at all on John. I remember vividly my first Christmas in the Cathedral, December 2013, there were televised Masses going out on the Eurovision platform. John celebrated ‘Midnight’ with a linguistic fluidity where his words in French, Italian and German were as flawless as his English and Irish. I celebrated the Christmas Day Mass. I recall my bafflement in late January as to why the Crib was still erected at the Cathedral side altar, at this stage every Christmas tree was well recycled and every other Crib was long consigned to the attic. We all notice the Crib is still erected here in Holy Rosary Church, Abbeyleix. John had “this thing” that Christmas did not properly end until today’s feast was celebrated. And with John, as we all know, there was no arguing, it was only yourself you would end up falling out with! And so, we gather today as Christmas properly ends, at least according to the Cummins ritual. I can not do justice to the amount of texts and emails that have poured in since Wednesday evening. The amount of messages relayed through social media. And the irony of it all is, that the subject matter in every inbox ‘Father John Cummins’ was very much a slow convert to even the simplest mobile. John referred to it as a “mobility phone”! Of course, rumours abound that he had a mobile for years, a Christmas gift, but he jealously guarded the number! That was until he arrived here to you in Abbeyleix in August 2017. Since then the luddite was converted! And of course, not only to the mobile, but he turned up to meetings, mostly late mind you, with an i-Pad under his arm, which he furiously typed on, as the meeting progressed. John’s desk was never really ordered or tidy, because he was always working on something. 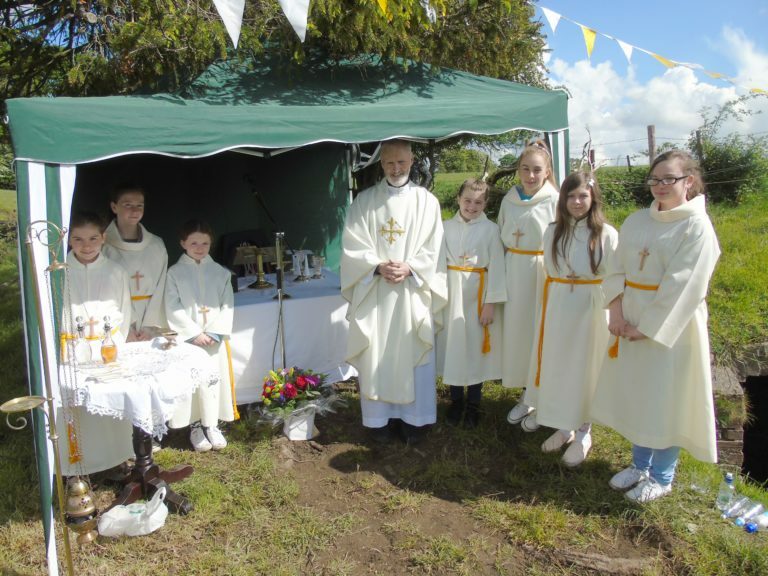 He left his desk in Abbeyleix last Wednesday afternoon with plans to return to complete a Catholic Schools Week liturgy for the students of Heywood Community College the following day. Every message, every tribute said the same thing. John was gentle, loyal, he was so pastoral, he was the essence of kindness. J ohn was a great preacher. A great man to stay in touch with friends, as many lay as clerical, with couples he married, with former colleagues from Carlow IT, and of course with family. He never forgot Teresa Horan, who pampered many a priest during their time at the Cathedral Presbytery. The late and great Saint John Paul II saw a priest as “a man for others”. I couldn’t but note the responsorial psalm refrain last Wednesday: “You are a priest forever, a priest like Melchizedek of old”. Father John Cummins was that priest, a priest to his finger-tips. John wore the mantle of exceptional academic qualifications very lightly and never lost the quest to learn more. He had a razor-sharp intellect who worked wonderfully with lay people, as those in Faith Development Services and many more will attest. FDS would say they were “blessed beyond belief” to have John as their mentor, colleague and friend for the last twelve years. John helped shape, structure and support their strong team. John had a splendid group of priests around him, (Ger, Thomas, Liam, Joe and Kevin) who met in fraternity regularly. They all completed the spiritual month in Saint Beuno’s. John wore his spirituality on his sleeve, a man of deep prayer and personal reflection. On the passenger seat of his car last Wednesday evening was his Holy Communion Pyx, his Confessional stole and his Breviary. John, I have no doubt was heading out on “first Friday calls”. Little did he know he would be called himself, before ever setting out on those calls. Of course the familiar back-pack was in the car with him last Wednesday evening. 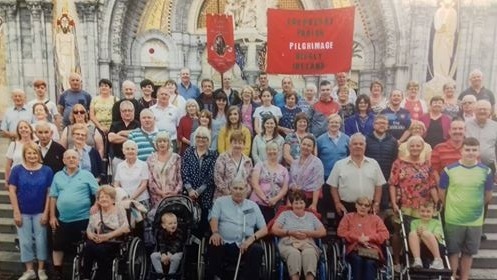 It went everywhere, to Saint Leo’s College on the Dublin Road in Carlow, to the Ploughing at Ratheniska, to the World Meeting of Families Congress in the RDS last August, even on pilgrimages and on holidays abroad with his great friend Ger Nash. Ger and John travelled to many places over 27 years, one of their next trips John was meticulously planning was to be Oberammergau. I imagine the late Fintan Morris, another classmate, is having a great catch-up with John now in Eternity. Probably reminding him of the year the three of them went through France, armed with a book purporting to be a guide to every religious house in France which took paying guests. The problem was that none of these convents, monasteries or presbyteries knew they were in the book. John, fluent in French spent the holiday persuading reluctant Reverend Mothers, Abbots and various other functionaries that the three were legitimate, they were the days before celebrets! Returning briefly to the World Meeting and our Diocesan Stand. I remember the ritual each day as John, Thomas O’Byrne and myself would slip off for Mass in the middle of the afternoon, leaving one of the FDS team on duty. And then the panic set in, where was my back-pack with alb, stole, zucchetto and Cross! John immediately offered his alb, saying I had to concelebrate, he would slip in at the back. Now the size of John and the size of me! I arrived at the bishops’ vesting room, donning John’s alb which barely went down to my knees. Amongst the bishops to regale me about the state of the mini alb was John’s two classmates Bishop Fintan and Bishop Tom. Little did I, John or they know, who had taken my back-pack but Ger. Killaloe had been using our Kandle tent, mind I add at no cost, as their RDS base also! You can imagine the ribbing Ger got for not only having an alb that was twice his size, but a zucchetto and pectoral cross to boot. For a man who liked words, John mightn’t be too enamoured by that word “sky”, too many connotations around an event in the summer of 2015, a sky-dive in Clonbullogue in Offaly. Four of them dived, and silly fool I paid their diving fee! 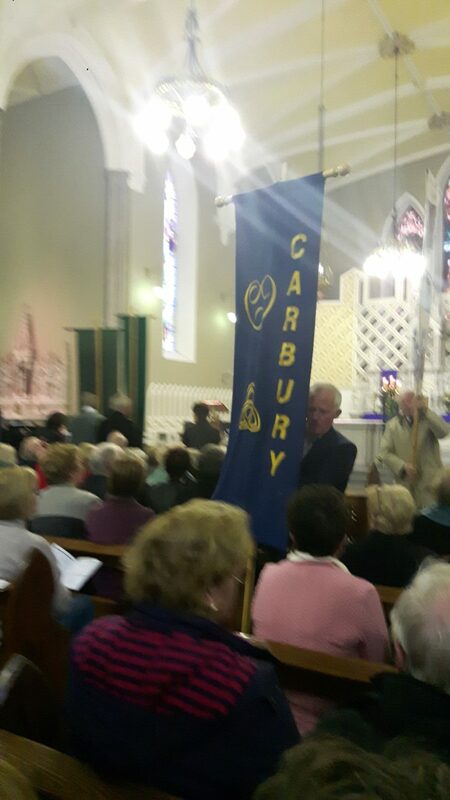 It was a fundraiser for the Cathedral Parish. If you thought John was pale, you should have met him after that sky dive! His digestive tract was not back to normal for weeks. And he was the man with a super appetite, but unlike the rest of us, it never showed! He didn’t need a fit-bit, you would struggle to keep up with him! May Father John be welcomed this day into the embrace of a loving God in Eternity, and may we find strength in God’s love and in His presence with us on days like this. And I’ll stop now before I hear John whisper in my ear: “jeepers that’s more of it!”. This poem was dedicated for A-M. K. 1956-2001, the poet died in 2014.